Being able to document both of Nataliya's pregnancies has been such an honor! 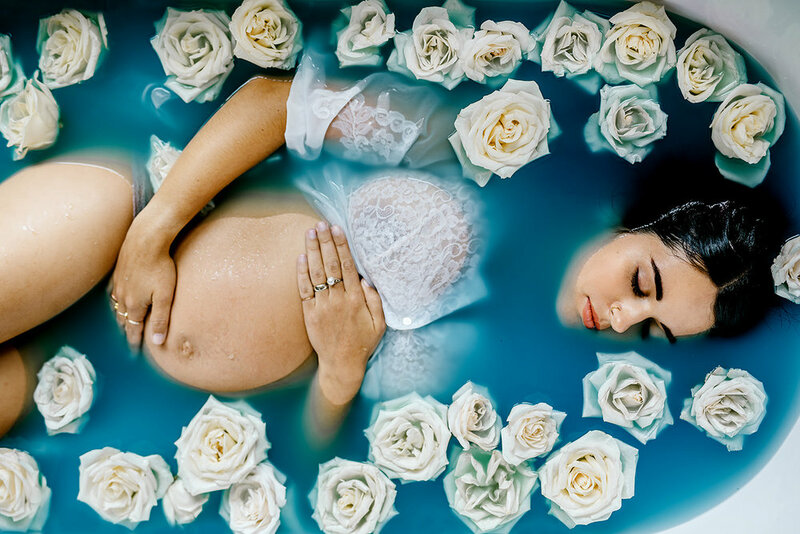 This time round she wanted to do something out of the ordinary and take her maternity in a tub! As you may have noticed, I am a little obsessed with shooting in tubs and was over the moon that she wanted to get them done in one! She is carrying a baby girl, who they have already decided to name Daisy, and in honor of her name we decided to fill the tub with daisies! And then we had some fun with turning the water to Nataliya's favorite color. It was an amazing shoot to experience and to celebrate life by creating art pieces out of Nataliya and Daisy!